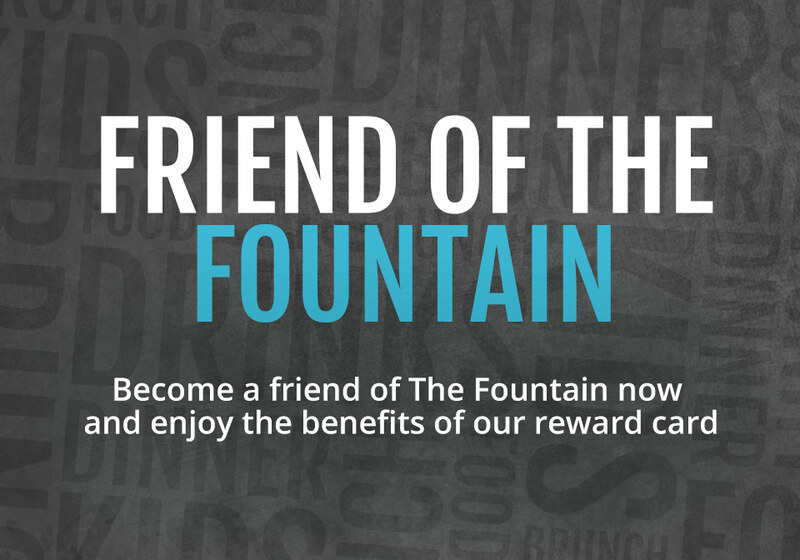 Sign up to our Friends Card at The Fountain and become an official pal of ours! Receive 20% off your food forever more when you receive your card! Current offer valid for up to 6 people. Available 7 days a week. Valid on food only, drinks are not discountable. Not valid in conjunction with any other offer.